Furniture Maven: For the ultimate in luxury.... Toulet all the way! For the ultimate in luxury.... Toulet all the way! For the snooker in you. 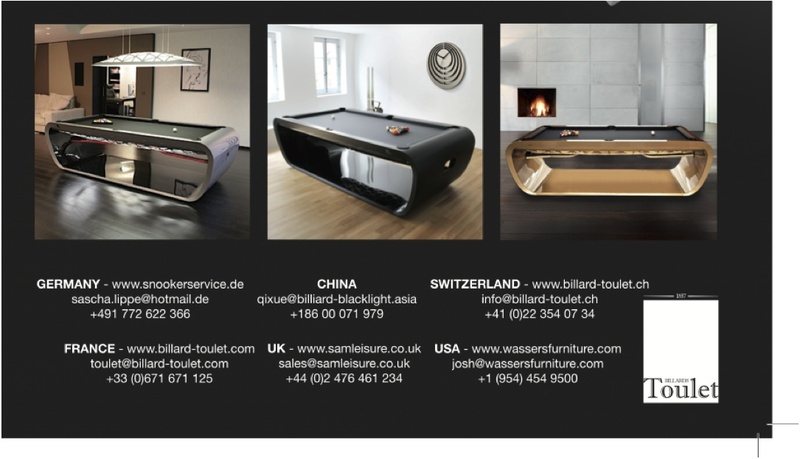 Let the fun continue in the comfort of your own home with the Toulet BlackLight Billiard table! Featuring the latest and most sophisticated design and technology, the Toulet BlackLight Billiard table has a harmonizing effect of form, quality and materials. 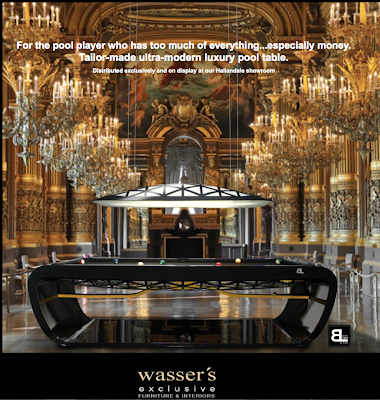 With internal lighting and an integrated jukebox, the Toulet BlackLight Billiard table becomes the ultimate multifunctional luxury table. Interested? Call 954.454.9500, ask for Josh, to discuss options and details. We suggest to you these incredibly stylish and innovative tables which can be transformed into dining table for any custom project. All our tables are made to order. Any specific request can be created thanks to the skilled designer department. We guarantee you high quality tables! Toulet is known since 1857 and from that time didn't stop to grow on as a competition table (French and American) manufacturer. The quality of the game of these tables has proved itself, but at the same time, Toulet would like to impose its tables in every living-rooms, becoming an integral part of the living space as tables can be transformed into a dining table. Can you imagine the masterpiece you can create with all of these options??? 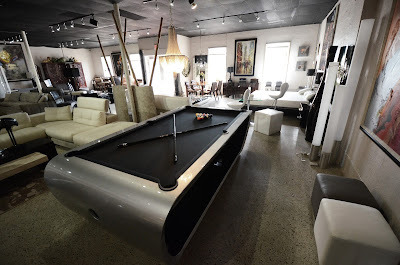 I LOVE this Billiard !! !